Cash Back will only be awarded on first time payment of subscription. 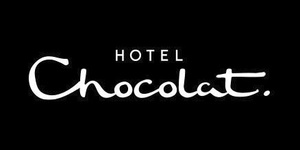 Hotel Chocolat is a luxury British cocoa grower and chocolatier led by three guiding principles – authenticity, originality and ethics, which remain central to the brand’s success today. With stores and cocoa-cafes in major towns and cities - Hotel Chocolat is the biggest online chocolate retailer in the UK, offering gift ideas for any occasion along with luxury gifting choices and best in class delivery options.